Whether you are starting a new business or relaunching, there are lots of design related tasks you have to take on. Creating graphics, making a logo, setting up a website and on top of everything, making sure everything is branded correctly to look cohesive and professional. There are so many creative design resources available to help you DIY but at what point do you hire a designer? Are you launching your new business or a new course or e-book and you need some branding to pull everything together? A designer will have the most experience in this process and will be able to give you all the branded items you need for the launch. Not only will they be able to create a full vision for you from scratch but it will be guaranteed to look professional and cohesive. Plus, this will take a huge task off your hands so you can focus on the launch itself! Us creative business owners can be wearing many hats at any one time. We are social media managers, marketers, copywriters, photographers and the list goes on and on. Part of this huge list of tasks is being a designer. But if you find yourself struggling with spare time, outsourcing your design work will save the most time so you can get on with the things you were made to do. If you have recently gone through a change in your business or even just feel like you have evolved as a business owner, you may feel like the brand you once created just doesn’t fit you anymore. If you want to go through a complete overhaul, hiring a designer if the best way to go over DIY-ing. A designer will create a whole new brand and website for you and will make sure it fits you personally. I always make sure I get as much information as possible about my client before I get started on a design project to make sure everything I create will completely fit their brand. It’s hard to design anything when you are lacking inspiration. Trust me, I have had some periods where my mind can’t come up with anything and it is really frustrating. This is the perfect time for a designer to get involved in your process as not only can they develop something with their own inspiration, they will also inspire you with their work and hopefully give you a bit of a spark! We’ve all been there before, you sit down for hours and hours designing something for your brand or a new logo and even though you have all of the skills, you hate everything you do! This seems to be a bit of a complex for a lot of creatives that we spend too much time looking at something we’ve worked on and then can’t not notice any little mistakes or something you don’t like about it. If you outsource your design work, you get a completely fresh perspective and work you will love as it has been designed specifically for you! 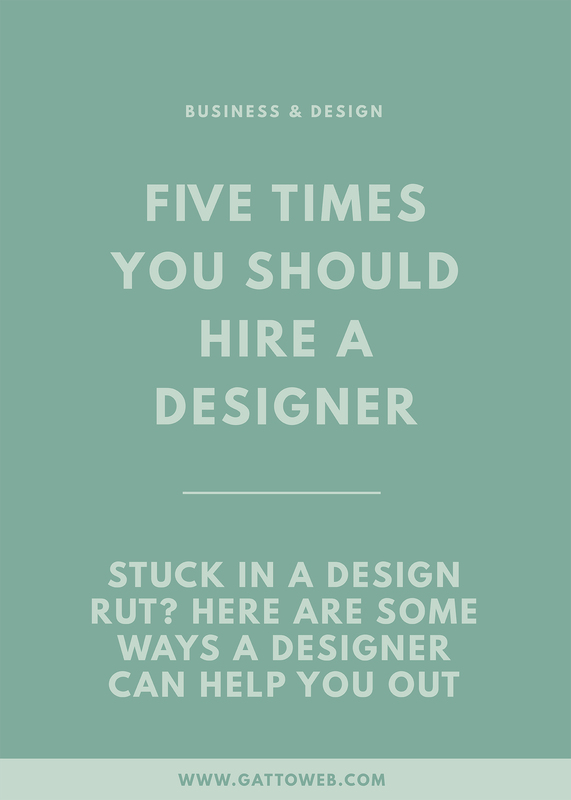 Have you ever hired a designer for a project? What made you invest in them?